John Deely examines the role of Thomas Aquinas (1224/5-1274) in the growth of semiotic consciousness among the Latins, as Charles Sanders Peirce will take up the matter in influencing the twentieth-century establishment of semiotics as a global intellectual movement. Although Aquinas never focused on the subject of signs for its own sake, he frequently treats of it in relation to other direct investigations in a great variety of contexts. The result of his treatments is to have left a series of texts which, though not without their inner tensions, contain a series of consequences and connections which can be developed into a unified theory of the being constitutive of signs as a general mode. Precisely this theory was spelled out systematically for the first time in the 1632 Treatise on Signs of John Poinsot, expressly grounded in a pulling together of Aquinas's various texts together with a careful analysis of the role of signs in human experience. 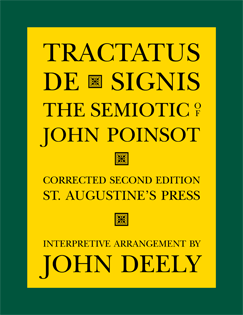 The resulting doctrinal perspective proves to have been implicit in Aquinas and to lie at the foundation of Peirce's notion of signs as triadic relations, a notion he took over from the later Latins and developed anew, particularly in shifting the focus from the being to the action proper to signs, or 'semiosis'. It is this appropriation and shift that marks the boundary between modernity and postmodernism in philosophy, with respect to which the writings of Aquinas are like a taproot. 2012a. Marcel Danesi and John Deely (eds. 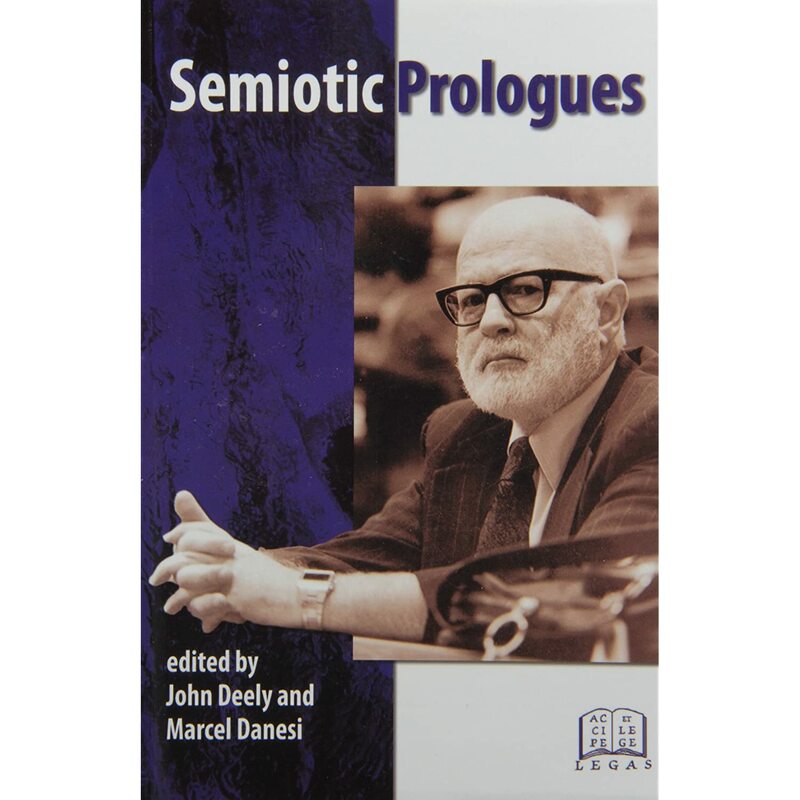 ), Semiotic Prologues (Ottawa: Legas). 2012. 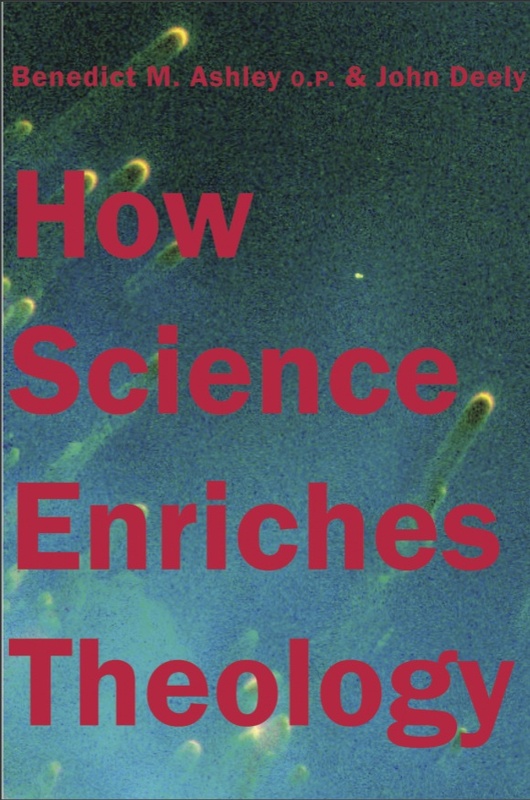 John Deely, How Science Enriches Theology (South Bend, IN: St. Augustine's Press). 2011. 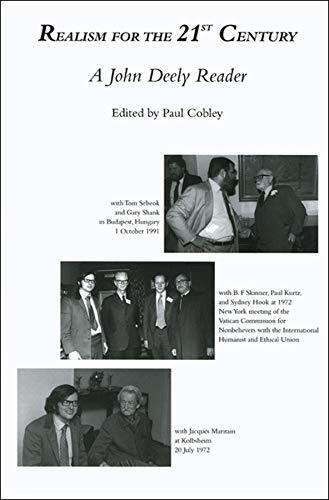 "Thomas A. Sebeok and the semiotics of the 21st century", in Paul Cobley, John Deely, Kalevi Kull, Susan Petrilli (eds. ), Semiotics Continues to Astonish: Thomas A. Sebeok and the Doctrine of Signs (Berlin: Mouton de Gruyter), 123–160. See also, "Tom Sebeok, the man who loved time", 431–433. 2010. 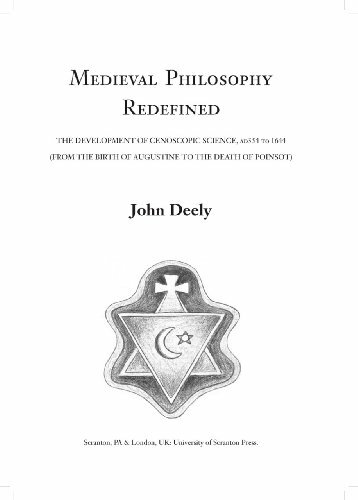 Medieval Philosophy Redefined (Scranton: University of Scranton Press). 2010a. 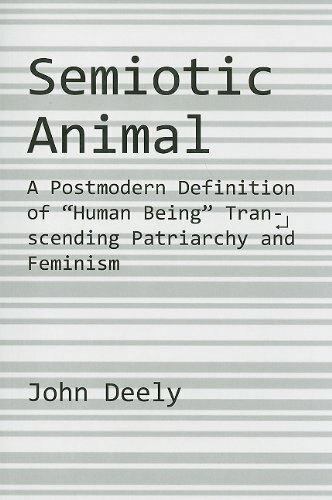 The Semiotic Animal: A Postmodern Definition of "Human Being" Transcending Patriarchy and Feminism (St. Augustine's Press). 2010b. "Realism and Epistemology", in Paul Cobley (ed. 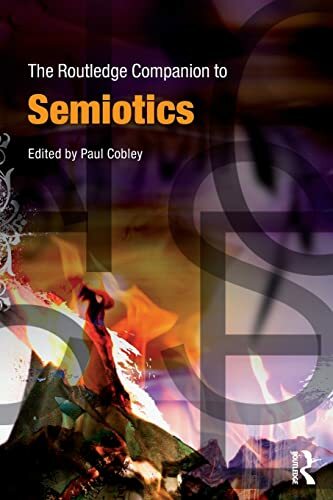 ), The Routledge Companion to Semiotics (Routledge). 2010c. Semiotics Seen Synchronically: The View from 2010 (Ottawa: Legas). 2009. 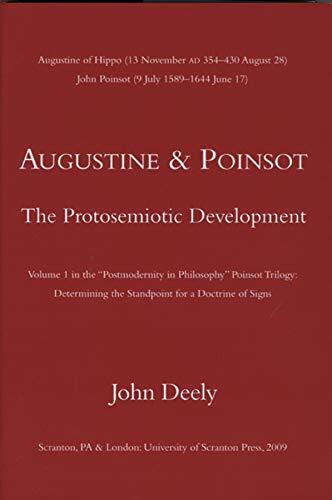 Augustine and Poinsot: The Protosemiotic Development. Volume 1 in the "Postmodernity in Philosophy" Poinsot Trilogy: Determining the Standpoint for a Doctrine of Signs (Scranton: University of Scranton Press). 2009a. Purely Objective Reality (Berlin: Mouton de Gruyter). [Read PDF Version Online] [Promotional Copy] See also Purely Objective Reality (New Bulgarian University 2005 Seminar Publication; Sofia, Bulgaria: New Bulgarian University). 2009b. Basics of Semiotics. Fifth Edition (Tartu: Tartu University Press, 2009). Fifth edition now includes "The Full Vista of the Action of Signs", as Ch. 12, at 233-275. [View Table of Contents for the Fifth Edition (PDF)] Fourth edition appeared in Bulgarian translation (Sofia: New Bulgarian University, 2005) and in the bilingual Estonian edition (Tartu: Tartu University Press, 2005), in which chapters from eight to eleven are new, and the first but especially the third and fourth chapters contain important additions. Third edition was in Italian translation (Bari: Laterza, 2005). Expanded second edition was in Spanish (Mexico City, Mexico: Universidad Iberoamericana, 1996). 2009c. Paul Cobley (ed. 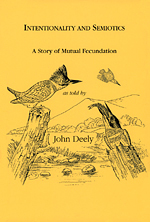 ), Realism for the 21st Century: A John Deely Reader (University of Scranton Press). 2009h. 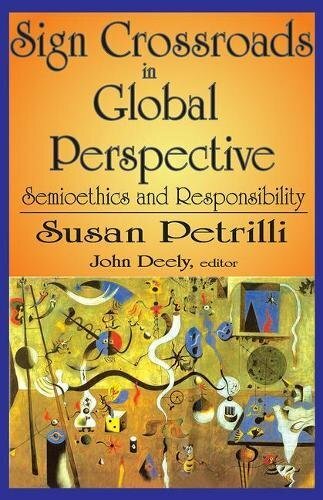 "In Her Own Voice", Preface to Susan Petrilli, Sign Crossroads in Global Perspective (New Brunswick, NJ: Transaction Publishers). 2008. 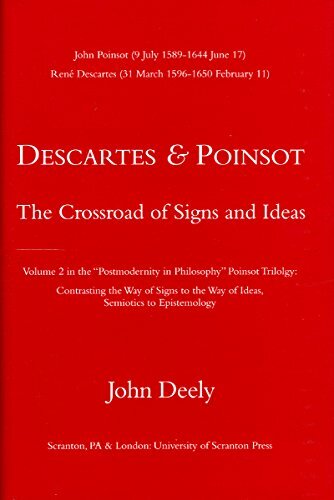 Descartes & Poinsot: The Crossroad of Signs and Ideas. 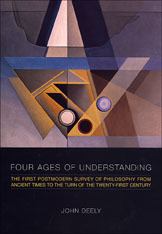 Volume 2 in the "Postmodernity in Philosophy" Poinsot Trilogy: Contrasting the Way of Signs to the Way of Ideas, Semiotics to Epistemology (Scranton: University of Scranton Press). 2008b. 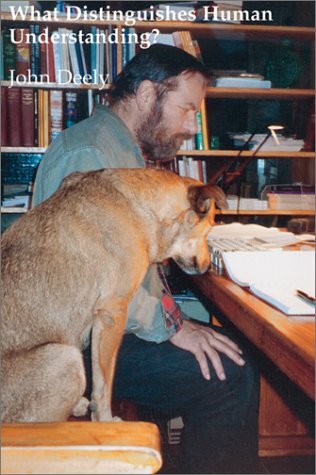 "How to go nowhere with language", essay review of John O'Callaghan, Thomist Realism and the Linguistic Turn (Notre Dame: University of Notre Dame Press, 2003), American Catholic Philosophical Quarterly 82.2 (Spring 2008), 337-359. 2008d. "Evolution, semiosis and ethics: rethinking the context of natural law", in Contemporary perspectives on natural law. Edited by Ana Marta González (Aldershot, England: Ashgate), 241-257. 2007. Intentionality and Semiotics: A Story of Mutual Fecundation (Scranton: University of Scranton Press). 2006. "On 'Semiotics' as Naming the Doctrine of Signs", Semiotica 158.1/4 (2006), 1-33. 2006a. "The literal, the metaphorical, and the price of semiotics: an essay on philosophy of language and the doctrine of signs," Semiotica 161.1/4 (2006), 9-74. 2006b. "Semiotics, History of", Encyclopedia of Language and Linguistics. Second Edition. Edited by Brown Keith (London: Elsevier), 216-229. 2006c. "Let us not lose sight of the forest for the trees...", Cybernetics & Human Knowing 13.3-4 (2006), 161-193. A commentary response to the Frederik Stjernfelt review of Deely 2001 in Cybernetics & Human Knowing 13.1 (2006), 86-103. 2006d. "'To find our way in these dark woods' versus coming up short", Recherche Sémiotique / Semiotic Inquiry 26.2-3 (2006), 165-234. 2005. 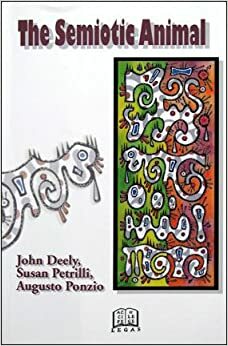 "Defining the Semiotic Animal: A postmodern definition superseding the modern definition 'res cogitans'," American Catholic Philosophical Quarterly 79.3 (Summer 2005), 461-481. An abbreviated version (with the help of Philipp W. Rosemann) of "Defining the Semiotic Animal. How the postmodern understanding of human being supersedes the modern definition 'res cogitans'", which was printed as Ch. 8 in The Semiotic Animal (Ottawa: Legas Publishing, 2005), 145-186. For the most complete version see Defining the Semiotic Animal: A Postmodern Definition of "Human Being" (Sofia, Bulgaria: New Bulgarian University 2005 Seminar Series Publication, Southeast European Center for Semiotic Studies), available in the United States only in the Graduate Philosophy Library of the University of St. Thomas, Houston. 2005a. "The Thomistic Import of the Neo-Kantian Concept of Umwelt in Jakob von Uexküll", Angelicum 81.4 (2005): 711-732. Originally presented as a colloquium at the Center for Thomistic Studies of the University of St. Thomas, Houston, 19 February 2004. 2005b. 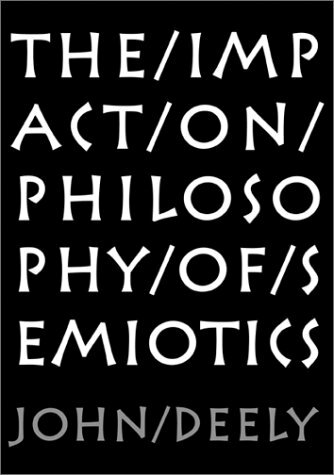 Thomas Albert Sebeok and Semiotics (New Bulgarian University 2005 Seminar Publication; Sofia, Bulgaria: New Bulgarian University). A small book dedicated to the late Thomas Sebeok. 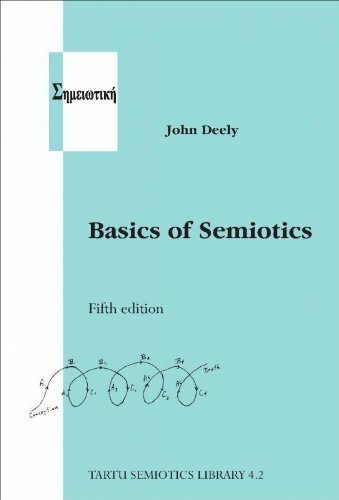 Following a brief introduction, the book contains two parts: a brief introduction into the development of semiotics, and a biography of Sebeok detailing his role in 20th century semiotics. 2004. Why Semiotics? (Ottawa: Legas Publishing). 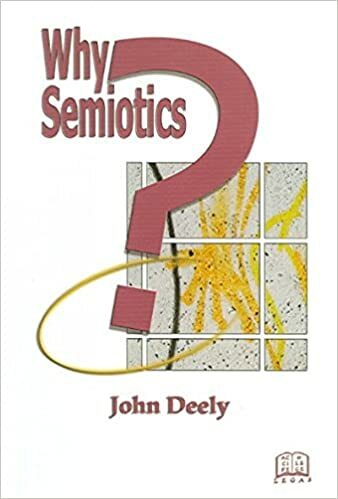 A modestly expanded book version of Deely 2003a, with bilingual Appendices presenting the seminal texts from Locke, Saussure, and Poinsot on what constitutes the standpoint of semiotic. This work traces the emergence into English-language dictionaries of the terms semiology and semiotics together with their variants. 2003a. "The word 'semiotics': Formation and origins", Semiotica 146-1/4 (2003), 1-49. Winner of 23rd Mouton D'Or Award for best essay in the field published in the calendar year. 2003c. "The Quasi-Error of the External World: An Essay for Thomas A. Sebeok, In Memoriam," Cybernetics & Human Knowing 10.1 (2003), 25-46. Preprinted in Semiotics 2001, 477-509; reprinted in Deely 2003: 117-154. 2003e. "From semiotic animal to semioethic animal and back", in Macht der Zeichen, Zeichen de Macht / Signs of Power, Power of Signs. Edited by Withalm Gloria and Wallmannsberger Josef. (Wien: Lit. Verlag 2004), 120-136. Printed as Ch. 9 in Deely, Petrilli, Ponzio 2005: 187-205. 2003f. "The semiotic foundations of the human sciences from Augustine to Peirce", Recherche Sémiotique / Semiotic Inquiry 23 (2003), 3-29. 2003g. "The Semiotic Animal" (first systematic draft; long version), in Logica, dialogica, ideologica. I segni tra funzionalità ed eccedenza. Edited by Susan Petrilli and Patrizia Calefato (Milano: Mimesis), 201-219; also in The Second Renaissance (Milan: Spirali). 2002. What Distinguishes Human Understanding? South Bend: St. Augustine's Press. ISBN 1890318973 [View blurb]. 2002b. "Response to the Speakers" (43-51) and "Afterword" (67-74), in "Getting the Postmodern Perspective: a Symposium on Philosophy Today", American Journal of Semiotics 21.1-4 (2005), 1-74. This symposium is the transcription of a Special Session held 2 November 2002 in the framework of the 76th Annual Meeting of the American Catholic Philosophical Association. 2002c. 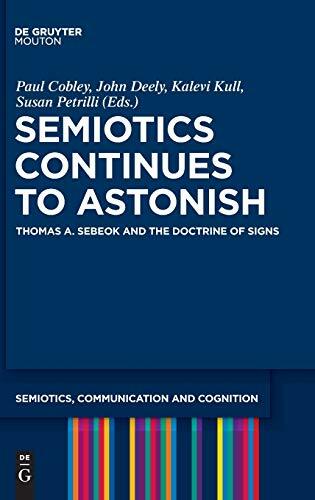 From semeion to 'signum' to 'sign': translating sign from Greek to Latin to English", in Essays in translation, pragmatics, and semiotics (Helsinki: Helsinki University Press), 129-172. 2002d. "Why intersubjectivity is not enough", Presented Sunday, September 8, to the New Bulgarian Southeast European Center for Semiotic Studies 8th International Early Fall School of Semiotics 5-10 September 2002. Printed as Ch. 11 in Deely, Petrilli, Ponzio 2005: 223-242. 2001d. "John Locke (1632-1704)", entry in Cobley ed., Routledge Critical Dictionary of Semiotics and Linguistics (London: Routledge), 217-218. 2001e. "Umwelt", Semiotica 134.1-4 (2001), 125-135. Expanded Fifth Edition, bilingual Estonian/English edition (Tartu: Tartu University Press, 2009). Kull, K.; Salupere, S.; Torop, P., "Semiotics has no beginning", in Basics of Semiotics (Tartu: Tartu University Press, 2005), ix-xxv.